Here it is! 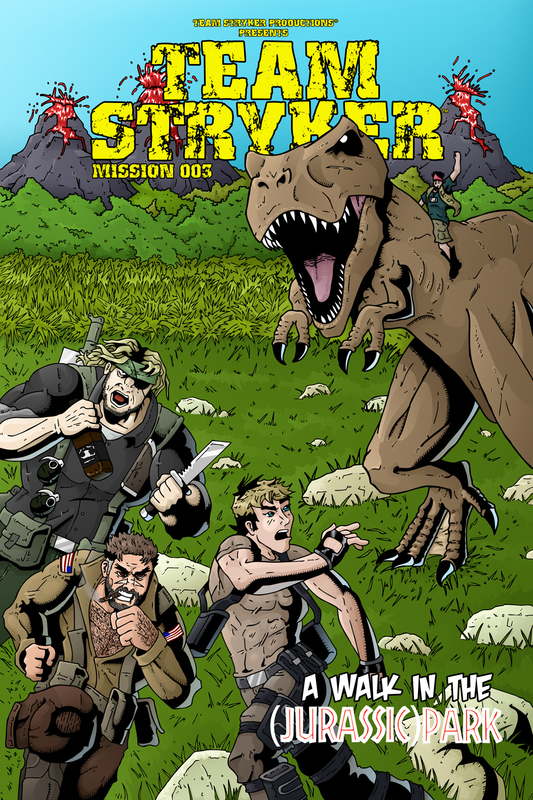 The finished cover to Team Stryker Mission 003! This page was an absolute blast to color and I’m very happy with the results. Coloring a cover is very different to coloring the interior pages as you have a lot more room to work with and there is a lot more space for detail. Normally you are confined to small panels all competing for space that there’s only so much detail you can cram in until everything just starts to look really busy. The cover was the last thing I drew for Mission 003 but it was the first page that I colored so it only seems fitting that we kick off Mission 003 with it. Hopefully you’ve enjoyed this 3 step process to making the cover. I’ll do the same when I launch Mission 004 in Feb 2013! Have a great rest of the week and I’ll see you all back here on Monday for page 1 of Team Stryker Mission 003! Don’t miss it!